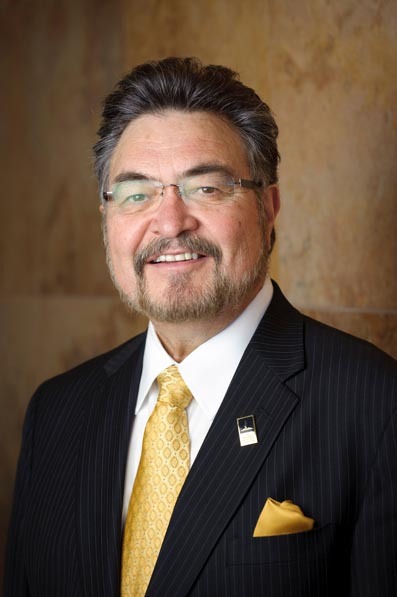 Making strides Dr. David López helps impact the Hispanic community in a way that traditional universities haven’t as president of The National Hispanic University. López—who at the time he met Cruz was a professor at California State University, Fresno and New Mexico State University (from which he has a received his doctorate in education)—was so enamored with Cruz’s vision, he began working with him as a volunteer. Then when Cruz died of cancer in 2002, López stepped into his shoes. “I thought it was my professional and personal obligation to keep his vision alive,” López says. Part of the Laureate International Universities network, NHU offers undergraduate, graduate, and certificate programs to campus-based and online students, many of whom are Hispanic. Students are supported in a collaborative, multicultural learning environment that is based on Familia, a personalized approach developed by NHU that fosters success through mutual respect and cultural sensitivity. 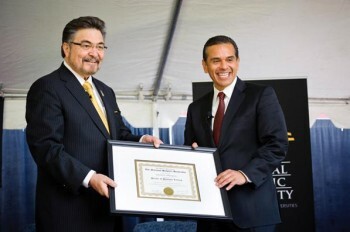 In a quest to meet Cruz’s vision, López has created an advisory board of prominent individuals, including Henry Cisneros, secretary of the Department of Housing and Urban Development under former President Bill Clinton, and Janet Murguía, president of National Council of La Raza (NCLR), the largest national Hispanic civil rights and advocacy organization in the United States. Their goal: to serve as ambassadors, helping to create additional partnerships and opportunities that will benefit Latinos nationwide. Under López’s guidance, NHU has been expanding programs both on the ground and online to increase the university’s national presence. As just one example, the university operates, through the NHU Foundation, a program with the Latino College Preparatory Academy (LCPA) a 400-student charter school. That program, called the Early University Program, sends juniors and seniors to NHU to take college courses. “We’re trying to do something bold and unique by closing the gap between K-12 and higher education,” López says. “We’re moving students—mostly low-income English-language learners—from ninth grade, through high school, through a four-year university program, and out into the workforce.” One student, Jeanette Zamora-Ortega, attended LCPA, obtained her bachelor’s degree from NHU, got a job at NASA Ames Research Center, and now plans to return to NHU for an online master’s degree in business administration. “She’s a perfect example of how our model successfully moves students through the pipeline,” says López. The idea, says López, is to create a prototype educational model that can be replicated across the country—by NHU and other institutions. “What we’d like to be is the place Hispanics and others who work in, teach in, and support multicultural communities—both nationally and internationally—go to get the information they need,” he explains. That said, López acknowledges he can’t realize his vision alone. “At graduation, I thank students’ parents for the sacrifices they’ve made, and I tell the students that it’s not over,” he says. “You have to have desire. You have to help yourself.